Government policy to encourage people to use their bikes as a means of transport must be seen as a positive thing for society. 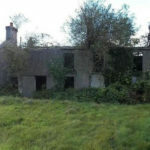 While many people bemoan the lack of cycle paths local authorities are committed to increasing the prevalence of them. The Cycle to Work and bike hire scheme’s in our Cities have been hailed as a huge success also. Unfortunately, the increase in cyclists on our roads will also mean that there will more road accidents involving cyclists. Inevitably when a collision occurs between a cyclist and a car the cyclist is going to come out of it in a worse state. So how should you as a cyclist protect yourself from being involved in a collision with a motor vehicle? And in the event that you have been injured in a crash by being hit by a motor vehicle whilst cycling, what are the chances that you will recover damages from the driver? Like all road user’s, cyclists are subject to abide by the rules of the road. Furthermore, they have an onus to take proper care for their safety when doing so. 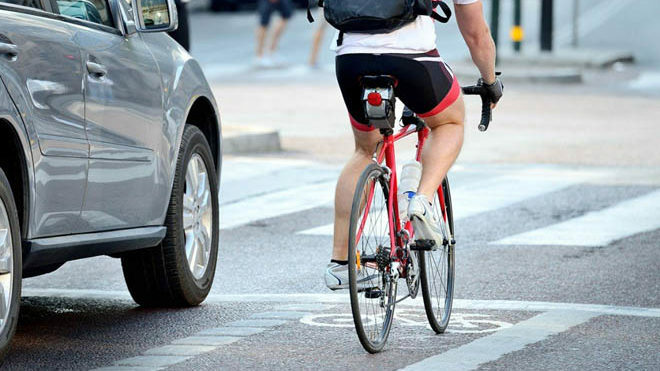 In a recent High Court case taken by a cyclist (cycling an electric bicycle) involved in a collision with a car the cyclist (the Plaintiff) was found not to have taken sufficient care for his own safety. Evidence was heard that the Plaintiff was not wearing a helmet and whilst there is no legal obligation to do so, as an adult he should have known that wearing a helmet was a necessary safety measure when cycling. In fact, the Judge said that although failure to wear the helmet did not cause the accident he accused the Plaintiff of having a cavalier attitude as to his own safety. The Judge went on to say that cycle helmets are relatively cheap to buy, they are lightweight and not uncomfortable to wear. The Judge said that although there was no expert evidence as to the extent to which helmets can reduce the level of head injuries suffered by a cyclist, it was the Judge’s view that by wearing a helmet a cyclist can greatly reduce the risk of suffering a serious head injury. He said that the Plaintiff was negligent in relation to his own safety for not wearing one. Evidence was also heard that although there was street lighting at the location of the accident there were no lights on the Plaintiff’s bicycle. The Judge found that this was relevant to the cause of the accident. The Judge said that when cycling in the city or in the country during the hours of darkness, a cyclist is obliged under the law to have front and rear lights on his bicycle. Failure to have such lighting is highly negligent. The Judge said that there is a huge range of lights available for cyclists. Some of them such as LED lights can produce a very powerful beam of light. Even less expensive types of light can still give off significant light which is likely to alert other vehicles as to the presence of the cyclist on the highway. He said that the Plaintiff was highly negligent to cycle from the city centre to his home without any lights on his bicycle. Although the cyclist was wearing a high visibility jacket and had reflectors on his bike at the front and back the Judge was highly critical of him. Regulation 8.7 of the Rules of the Road was also raised as another issue in relation to the case. This regulation imposes an obligation on anyone including a cyclist to yield right of way to traffic going straight through a junction if they are turning right at the junction. It was confirmed to the Court that if the Plaintiff had looked to his left he would have seen the defendant’s car, thus allowing him to yield and avoid being struck. Evidence was heard from Engineers instructed by both sides. The Court was shown photographs and maps and heard evidence in relation to travel speeds and relative braking distances. The Judge found in favour of the driver of the car (the Defendant), he said that the driver was not given any opportunity by the cyclist/Plaintiff to react in such a way as to avoid hitting him. Whilst the outcome in this case depended on the Engineers evidence in respect of how fast the defendant was driving and how much time the defendant had to brake, this judgment sends a message to all cyclists using the roads. It will be a requirement for any cyclist injured to always abide by the Rules of the Road if they want to succeed fully in a claim for damages. Contributory negligence is when even though the defendant has been found to be negligent and liable to pay damages to a plaintiff the court finds that the plaintiff also either by their actions or inactions ‘contributed’ to the accident. This can mean a large reduction in the award made to the Plaintiff. 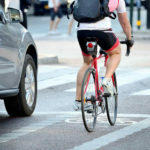 Even in circumstances where the motorist is found to be at fault, a finding of contributory negligence against a cyclist for not having lights front and rear or for failing to yield right of way to oncoming traffic when turning right at a junction could result in a significant reduction in any award made in their favour by a Judge. Even if it is not yet the law, the wearing of a high visibility jacket and a helmet will ensure that if you do find yourself involved in a crash with a car and a court case ensues a Judge hearing the case will look favourably on the fact that you took all measures available to protect your safety while cycling. Strictly speaking all cyclist should wear a helmet and high visibility jacket so as to avoid any findings of contributory negligence against them should they be involved in a collision, particularly if they are an adult.